Heath Clark moved to the great city of Warner Robins when he was three years old following his father’s military orders. He grew up playing baseball at WRALL, among other sports. After graduating from Warner Robins High School, he attended Southeastern Baptist Theological Seminary. He then transferred back home to Warner Robins to finish his degree in Information Technology at Macon State University while working as a youth pastor in the area. He spent most of his working career as a software engineer at Robins Air Force Base. Heath and his wife, Lindsey, were married in 2009. 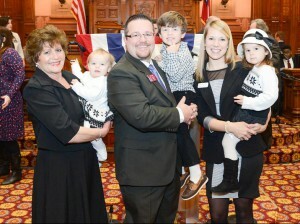 God has blessed them with four children; Camden, Eliza, Andersyn, and Garrison. Having already gone through the process to be approved to be Foster Parents. Heath and Lindsey will one day add to their family through foster care and adoption. Together, they serve at Sojourn Church in Warner Robins. Heath’s love for the Houston County and, more importantly, for the people of in Houston County runs deep. After serving as a youth pastor for about eight years, he worked alongside several others to plant a church in Warner Robins and is now serving as the Director of Media. Heath has had an interest in politics since childhood. He has served as a volunteer on several different campaigns ranging from mayoral races to presidential campaigns. 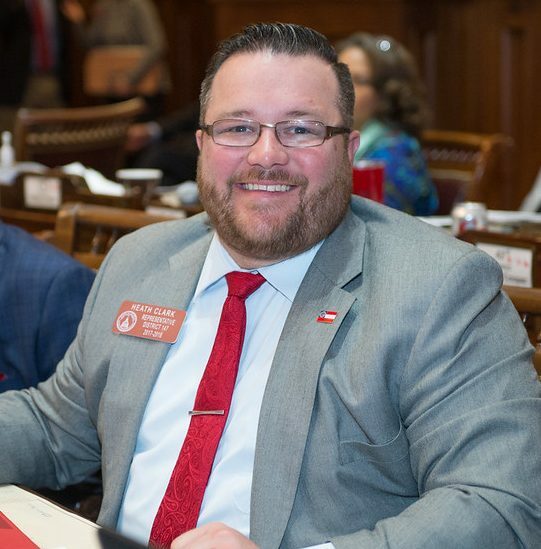 He has worked diligently within the local party and was elected as a Vice Chair of the Houston County GOP, as well as the First Vice Chair of the 8th District GOP.